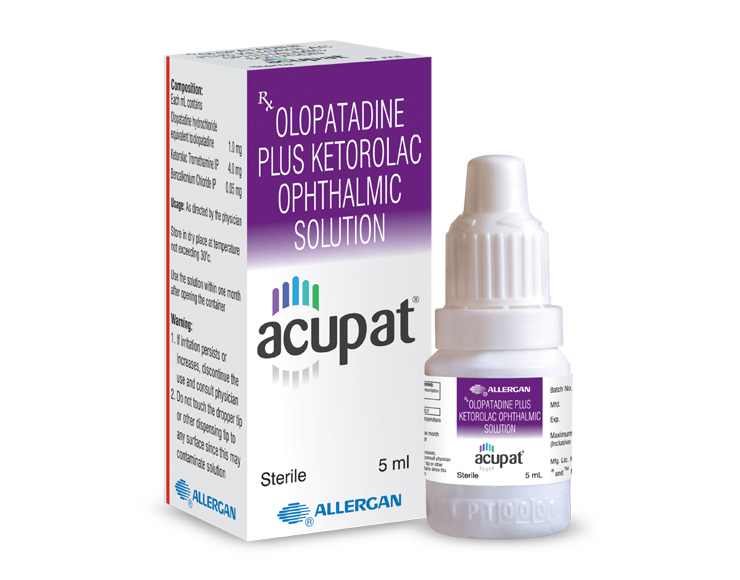 Olopatadine hydrochloride plus ketorolac tromethamine is a fixed dose combination eye drop, which contains olopatadine hydrochloride, a dual acting mast cell stabilizer with antihistaminic activity and ketorolac tromethamine a nonsteroidal anti-inflammatory agent. One drop in each affected eye, two times per day. Available in 5ml white opaque LDPE FFS vials.